You are TWO, a whole two years old. I still can't believe that you have been a part of our lives for almost three years (including pregnancy of course), although it is hard to remember life before you were in it. In the last year, since your last birthday you have changed so much. It is amazing to watch you grow, change and learn everyday. You are no longer a baby, you are my little boy. One thing that hasn't changed since your last birthday, is your obsession with everything with wheels. The words I hear most around the house are car, truck, diggy and lately you have been a very big fan of supposed Fire Truck noises that actually sounds like cats 'meow,meow,meow,meow', I have to admit, they can get a tad annoying at 6am. I can't believe how good you are at imitating different car and truck noises, you have the monster truck noise down pat! You point out all the trucks to me when we are driving, and you are happy just sitting and watching the machines work at construction sites. You are so excited every time I mention that we are going to go in the car. Then you repeat car, drive, race until we actually get in the car. Soon people will start to think that I am a very fast driver if you keep this up. Mummy doesn't race in the car! Even though sometimes you seem so tough and rough and tumble, you have big falls and barely bat an eyelid, I know that you are such a sweet boy at heart. One that loves to hug his friends (the the point that it becomes a tackle). You love to hold your friends hands and you are very thoughtful (for a two year old). You surprise me with how much you love your little sister, even though you've only known her for six weeks, you care so much about her. Every morning I am ignored, and you just want to hold Willow. I am constantly bombarded with the request to 'carry' her. and you have a difficult time leaving her alone. Whenever she is crying you run to her and ask 'are you ok?' You smother her with kisses, and often exclaim at how cute she is. You are such a great big brother, she is very, very lucky to have you in her life. We love you so much baby boy. You have more energy than both your Mum and Dad combined. You love your long walks with Poppy, sometimes walking up to 3kms without asking to be carried. But, that still doesn't wear you out. 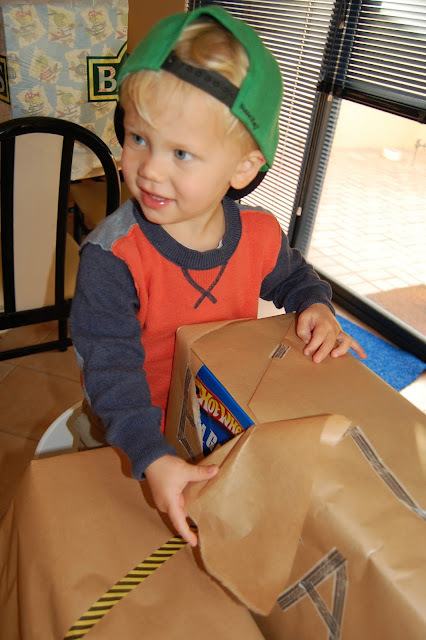 You never stop and are constantly on the go, running, jumping, climbing and playing. I am already seeing signs that you like to be the centre of attention (no surprises there), you love a crowd and you are a big show off. You love to make people laugh, and you often have us in stitches. You make our lives so much more entertaining, and I wouldn't change it for the world. Before you were in our lives I couldn't fully comprehend what it 'a mothers love' truly means. You help me to see the small things and find joy in the simple things. You have taught me so much about myself and helped me to grow as a person. I love you more than you will ever know. Happy Birthday Ezra. I'm linking up with Jess @ Essentially Jess for #IBOT because its Tuesday! 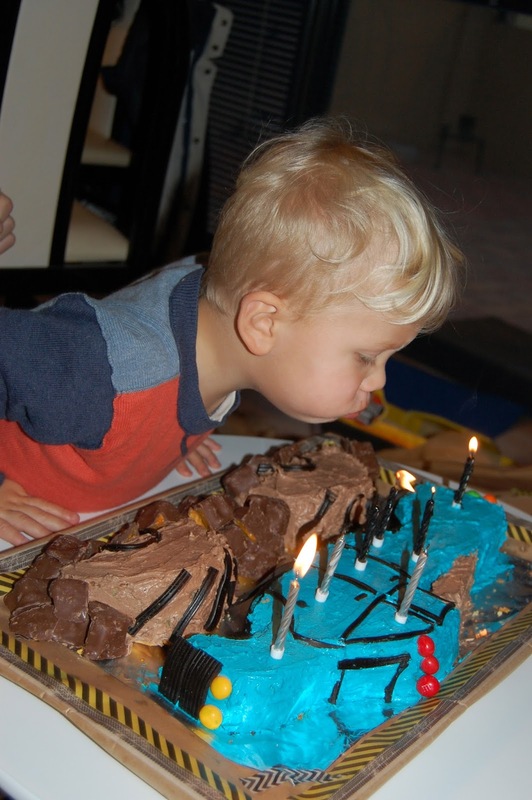 10 comments on "To my baby boy, on your 2nd Birthday"
Very cool cake! Love hearing how your boy loves his baby sister too. I believe it Jess!! Thanks for the encouragement! By using Car Rental 8 you can discover the cheapest car hire from over 50,000 international locations.